I’ve said it before and I’ve said it again… I love pumpkin spice. It’s just the ultimate seasonal thing, so I like to take advantage of it as much as I can. So what makes pumpkin spice even better than pairing it with a warm beverage like a latte? Pairing it with bacon. Yes, I said bacon. 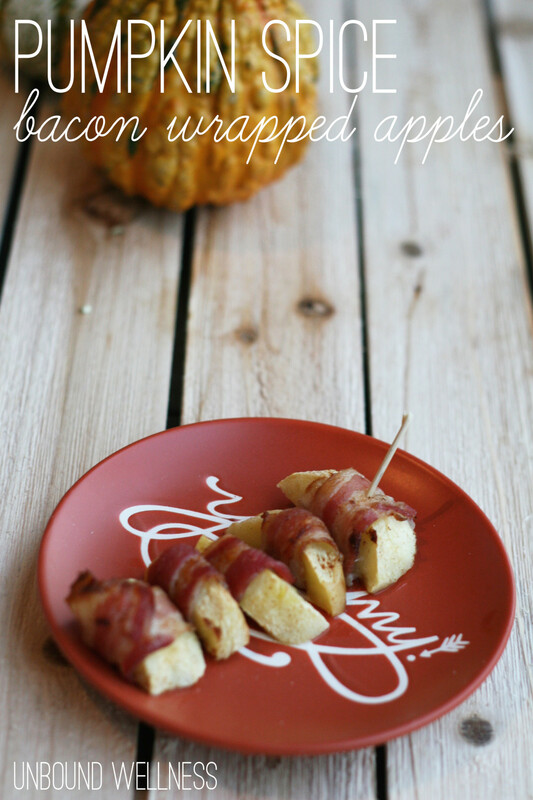 So, Pumpkin Spice Bacon Wrapped Apples are my food favorite right now. Note that not only are these paleo, but the spice is autoimmune protocol friendly as well. Oddly enough, I’ve never really liked bacon. I know, I know, it’s unheard of, but I just don’t like greasy food as it reminds of fast food. However, just a couple of weeks ago I started craving crispy bacon like no other. I literally had a dream about going to the store to go get bacon. I made the connect this past week when reading Nourishing Traditions for my schooling to become a Nutritional Therapy practitioner when Sally Fallon reminded me that bacon is a good source of choline, a vitamin that’s essential to our nervous system and brain health. Basically, my brain wanted bacon on multiple levels. So, I satisfied it. 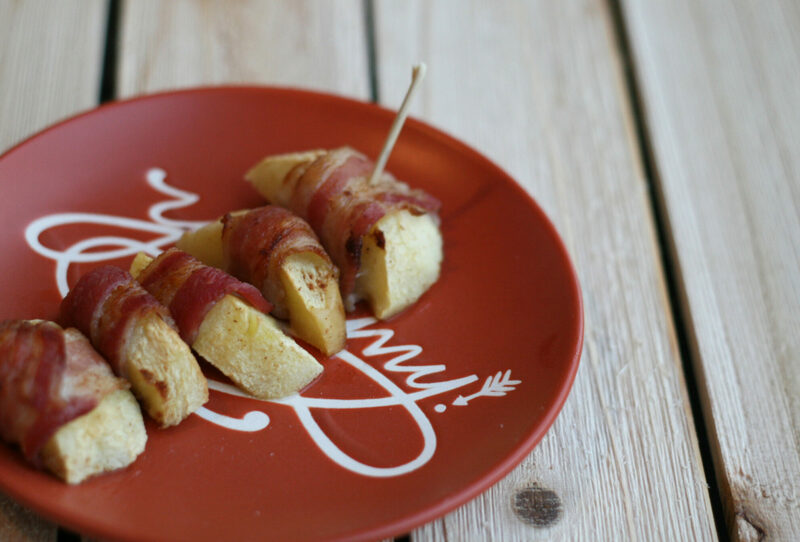 I’ve seen bacon wrapped apples before, and I’ve made cinnamon baked apples a dozen times. Why not marry all of the flavors and take it the extra mile with pumpkin spice? Take the bacon slices and start wrapping the apple slices. Depending on how thick the bacon is, you can slice it down the middle. Wrap the apple slices all the way around. I already see myself serving these at Thanksgiving, and bringing them as a fun finger food to other fall gatherings! My husband and I loved pairing these with a sunday dinner of acorn squash and sausage. How do you like you bacon? Crispy? Bendy? Wrapped around pumpkin spice apples?